We provide the best agility equipment to our customers at he best value possible. We take great pride in our company, our commitment to customer service and in the products we sell. We have been manufacturing custom made aluminum products for commercial and residential use since the early 1990's. We have taken this experience and our love of dogs and dog agility and established Emmco Sport. It's our passion for quality and our desire to meet the needs of dog agility enthusiasts that drive us to offer an innovative yet affordable line of products. We know how important dog agility is for some dogs, how much it adds to their lives and to ours. 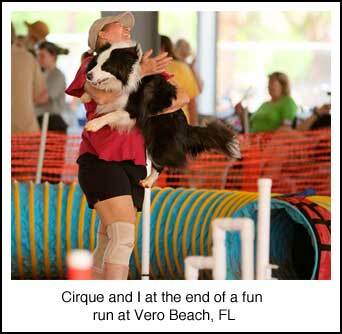 We are dedicated to providing the best possible product and information that makes agility fun for you and your dog. via EMMCO Dog Agility -Lois Lane Learning the Mary Ellen Barry Method for 2X2s #trailer on Vimeo. This entry was posted in Dog Agility Trainers, Training Aids and tagged dog agility, dog agility 2x2s, dog agility training, Dog agility weave poles on May 5, 2014 by admin. Q: Have you ever wondered what it takes to rubberize dog agility contacts? Well here’s the answer! A: The first step is to make certain the surface is securely attached to the contact’s frame. We use aluminum sheet metal that will never rust and creates an excellent surface for strength, durability and acceptance of binder and rubber granules. Before applying the rubber, the surface must be cleaned. We use an ammonia based cleaner to remove any residue, oils and grime. Aluminum sheet metal is riveted to the aluminum structural frame. The rubber granules are weighed and the appropriate about of binder is added. It is extremely important to get this ratio correct, if not, the rubberized surface can be shiny and slick. Exactly what you don’t want. You have much more control over the outcome if you work in small batches. It is more than worth it in the end! Weighting rubber granules and adding binder. Before you apply the prepared mixture of granules and rubber, a very thin layer of binder is applied to the surface. The next step includes creating a retaining edge around the contact you are surfacing with rubber. Strips of wood can be attached with clamps to create a retaining edge or a moveable strip of wood can be used as you proceed. If you are new to this process by all means create an affixed retaining edge as shown below. It is also very important to note that the binder used is moisture cured. If your environment is very humid the curing process will happen rapidly, but if the environment is very dry the surface area may still be tacky the next day! Also make sure that the retaining edge and slat forms are removed as soon as curing has just begun! If not you will have a very hard time removing them later!!! If slats are included in the specifications for the contact surface, these should be constructed first for enhanced longevity and added strength. Slats are added to aluminum surface area reflecting sanctioning group specifications. Yellow slats are built on aluminum sheet metal surface of the A-Frame. Blue rubber granules are added between slats. The pattern for the slats is layer out with wooden strips to create the correct width and height. They are held in place with clamps or very strong tape. A small spatula and guide for the ends of the slats are used to press and secure the prepared granules in place. A small amount of binder must be placed in the channel before the prepared granules. Creating the slats on an A-Frame may also require weights to insure that the prepared granules do not drift under the forms. Once the slats have been made and cured then the rest of the surface rubber can be applied (usually the next day). Use a guide to keep the prepared granules on the surface and use a trowel to press in to place. When transitioning from one color to the next, it is best to cover the completed rubber with part of a form used for the slats. This will protect that surface and provide a guide for the new colored granules. This is also easiest to do if the 1st color is either cured or partially cured. Once all of the rubber is fully cured, it is best to reinforce the edge of the rubberized surface with a strong weatherproof adhesive. Apply in small sections and then press into granules on the edge with a spatula. Use a paper towel to remove excess adhesive. This process helps to prevent chunking on the edges. That’s all it takes to get the job done! Have fun and RUN HAPPY!!! If you have any questions, please let us know. Best Wishes. This entry was posted in Refurbishing Dog Agility Contacts and tagged dog agility contacts, dog agility equipment, resurfacing dog agility contacts, rubberizing dog agility contacts on February 27, 2014 by admin. For 2014 the USDAA will add 14″ and 18″ jump heights. This is how we incorporated them into our spread and extended spread jumps. The complication is in setting the jump spread for each jump height. The USDAA allows for a range in the spread distance. In general, for dogs jumping 18″ and higher the jump spread can be 12-15 inches while dogs jumping 16″ and lower have a spread of 10-12 inches. In addition the larger dogs have a parallel jump while the smaller dogs have an ascending jump. The simplest solution is that all dogs jump a 12 inch spread. We have incorporated different spreads within the range for each jump height. By doing so smaller dogs will jump a narrower spread while larger dogs will jump a wider spread. You can see that the 18, 22, and 26 jump heights all have a different spread. Likewise the extended spread, which is ascending for all dogs, has a range of 20 to 24 inches of spread for the larger dogs. The smaller dogs all jump a 12 inch spread. Again we worked within the range such that only the 26 inch dogs jump a 24 inch spread while the 18 inch dogs will jump at 20 inches. Finally we make our jumps convertible to a single jump so that in competition the jumps do not need to be replaced for the performance division. We also provide a version of each jump that does not convert. This entry was posted in Jumps and tagged dog agility equipment, dog agility jumps, USDAA jump heights for 2014, USDAA jumps on December 2, 2013 by admin. When you find an agility trainer that can improve your team performance and home in on a problem you just can’t seem to over come, it can be life altering! We asked agility enthusiasts from all over the country to share with us the names and locations of Great Agility Trainers and these are the responses we received. We have grouped them by state. It is by no means a complete list, but it’s very current and could be helpful! If you would like to add anyone else to our list, just leave the info in a comment below and we will be happy to update our info. We are going to add these trainers and any links we have to our Blog List (lower right hand column) “GREAT AGILITY TRAINERS” and if you have anything to add, just let us know and we would be glad to include it. Take a look and see! And always remember -Run Happy! Info from: Jenn Cannon “Lynne Stephens and Karen Meikle at Dog Logic, Statesville, NC” See info above. 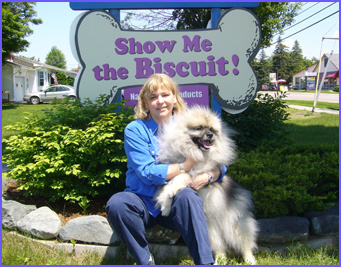 Info from: Sherry Holm “Lynn Stevens of Doglogic in Statesville, NC! See info above”. Info from: Sallie Lau Nelson “Have to agree, Doglogic in Statesville, NC, with Lynne and Karen. They are great”. See info above. Info from: Dagmar Fertl “Elizabeth Evans and the other instructors at Best Friends Fun Farm in McKinney, TX”. See info above. This entry was posted in Dog Agility Trainers and tagged #DogAgility, #DogAgilityTrainers, #DogAgilityTraining, dog agility, dog agility training on August 19, 2013 by admin.